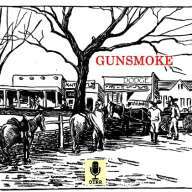 “Gunsmoke is one of those long-running classic Old-Time Radio shows that everyone knows and remembers. It’s also one that is still respected for its high values, in all aspects. Gunsmoke first aired on the CBS network on April 26, 1952, billed as the first adult western. It was set in Dodge City, Kansas in the 1870’s. Click on a show to start the audio.